SVN - moving folders to the trunk. Ask Question 3. I'm using VisualSVN Server and TortoiseSVN as the client. I have an existing Visual Studio project that was already checked into an existing repo. The guy who initially set it up did it a little funky so that he checked in all the files in the root level of the repository. So alongside all my project folders, I have the /trunk, /tags and how to discuss taxes with boss Will import the current project1’s file into the repository (assuming that project1 indeed resides in /home/user/project1). 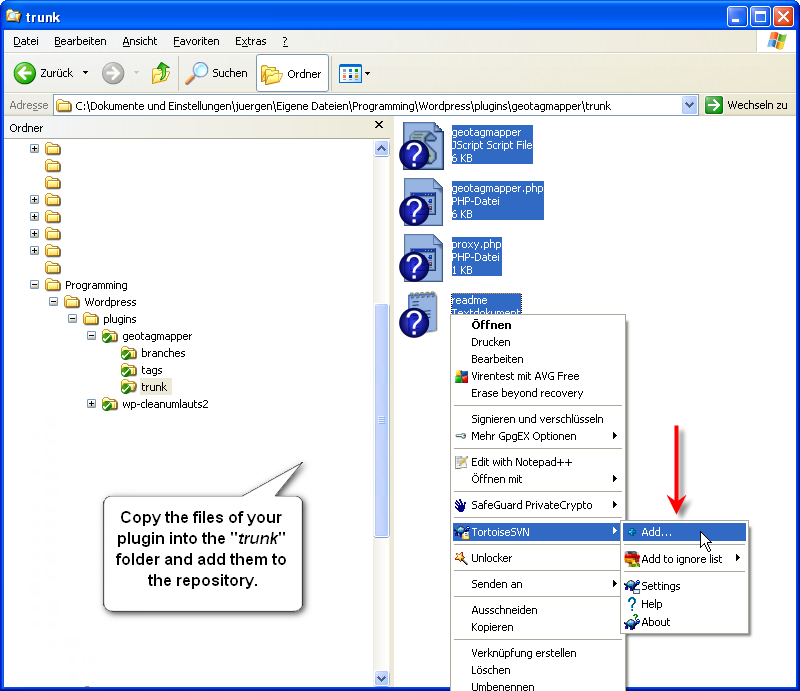 The trunk appended to the end of the repository URL, is part of the directory layout convention used by many Subversion users. add the file to the svn:ignore list using TortoiseSVN → Add to ignore list This will only affect the directory on which you set the svn:ignore property. 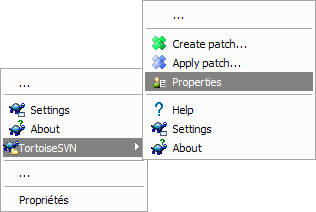 Using the SVN Property Dialog, you can alter the svn:ignore property for a directory.